Objective: Hon'ble Prime Minister, Shri Narendera Modi has appealed that the country should celebrate the period from 9th August 2017 to 15 August 2022. When the country will be attaining 75 years of Independence. The period should be celebrated as Sankalp Se Siddhi- New India movement and pledge to be made for the all around development of the country. Govt of Arunachal Pradesh was the special guest. 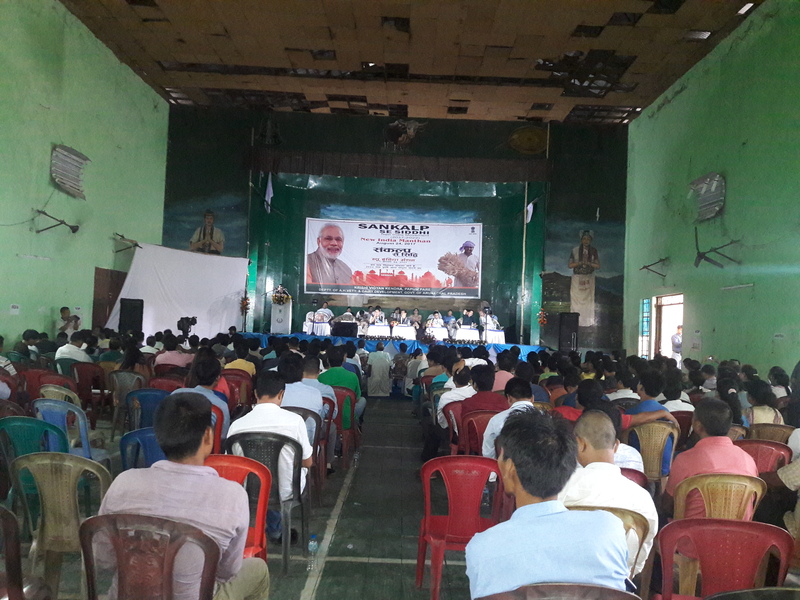 Shr A programme on New India Manthan: Sankalp Se Siddhi was organised by KVK Papumpare on 24th August at Nyikum Niya Hall, Nirjuli around 350 Officers/Officials/Farmers attended the programme. 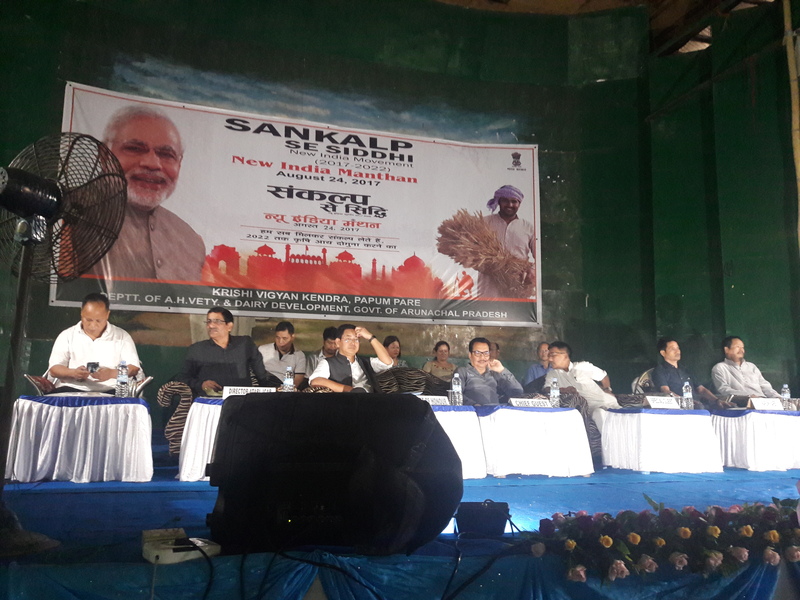 Shri Kiren Rijuju, MOS(Home Affairs) Govt of India was the Chief Guest of the event, Shri Chowna Mein Deputy CM, Govt od Arunachal Pradesh was the Guest of Honour, Dr. Mohesh Chai, Hon. Minister for Deptt. of AH,vety & DD, Govt of Arunachal Pradesh was the special Guest. A.K Tripathi, Director, ATARI, Zone VI Guwahati attended the programme as special guest. He expressed & highlights about Seven point strategy to double farmer's income by 2022. The programme included screening of video film on sankalp se siddhi, Patriotic films etc. addresses by Chief Guest, Guest of Honour. 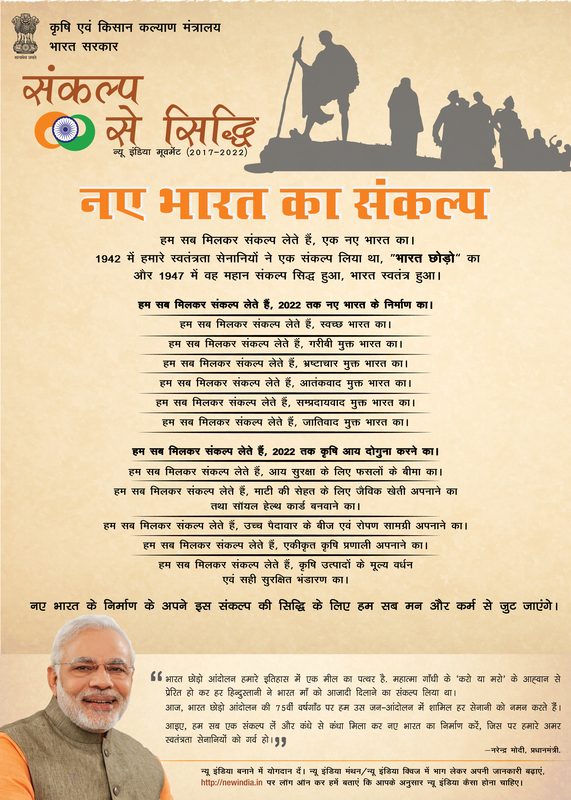 The programme included with taking pledge on Sankalp Se Siddhi from Chief Guest.